Alex Ruiz represents several of the firm’s clients in employment and business litigation matters. His practice focuses on all aspects of employment litigation, including wrongful termination, discrimination, retaliation, harassment, whistleblower status, family and medical leave, and wage and hour class actions. In addition, Alex handles various types of business litigation cases involving executive agreements and separations, non-compete agreements, trademark infringement, misappropriation of trade secrets, and contract disputes. Alex has extensive experience as a litigator, having taken cases from complaint through appeal in both federal and state courts under the employment laws of the United States, California, and various other states throughout the country. He represents various types of clients, ranging from high-profile or famous individuals, large multinational corporations, small family-owned companies, start-ups, non-profits, and even sole proprietorships. He has worked with clients in the manufacturing, healthcare, entertainment, education, and government industry sectors. Alex has also litigated various types of cases, ranging from high profile cases with intense media coverage, complex civil cases, multi-million dollar class actions, single-plaintiff lawsuits, limited civil cases, and even matters before the California Labor Commissioner. Throughout his career, he has repeatedly secured favorable outcomes for his clients, ranging from favorable settlements to complete and unqualified victories by summary judgment, jury verdict, and affirmance on appeal. Alex also has experience with counseling, advising, and training clients on numerous personnel policies and practices, including wage and hour law compliance, EEO best practices, AB1825 sexual harassment requirements, discrimination and harassment prevention, social media policies, and leave policies, to name a few. Being fluent in Spanish, he has represented numerous clients in cross-border matters and is frequently called upon to interview Spanish-speaking witnesses, translate legal documents, and make Spanish language presentations to Spanish-speaking workforces. 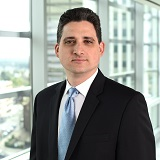 Alex has been named to the Southern California "Rising Star" List by Super Lawyers magazine from 2015-2018 in the area of labor and employment law, and has presented on various topics in employment law, both as a panelist for the Orange County Bar Association Labor and Employment Law Section and as a panelist and moderator for the annual statewide "Employment Law Practice Year in Review" seminar held by the California Continuing Education of the Bar. He was also a contributing author for Employment Law Practice: 2015 Year in Review, an annual publication for the California Continuing Education of the Bar used to educate attorneys throughout California about recent developments in employment law. While in law school, Alex served as the President of the St. Thomas More Law Honor Society and participated in the William Hobbs Trial Advocacy Program. He also worked as a Certified Law Clerk for the Office of the Los Angeles County District Attorney, Law Clerk for the Alliance for Children's Rights, Judicial Extern to United States District Court Judge Margaret M. Morrow, Law Clerk for the Offices of Mona C. Soo Hoo in the case of United States v. Pellicano, et. al., and Law School Research Assistant. Before law school, Alex worked in the Crime Prevention and Youth Protection Division of the Los Angeles City Attorney's Office as part of “Operation Bright Future,” a collaborative anti-truancy initiative between the City Attorney and the Los Angeles Unified School District, and as part of “Kid Watch LA,” a child safety training program.